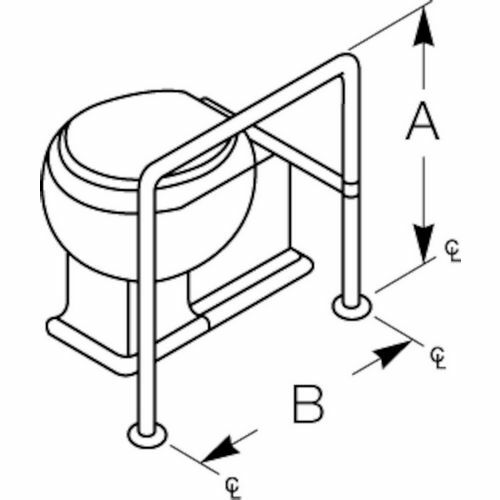 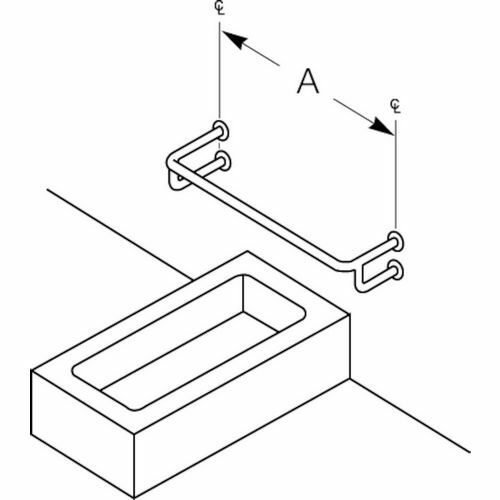 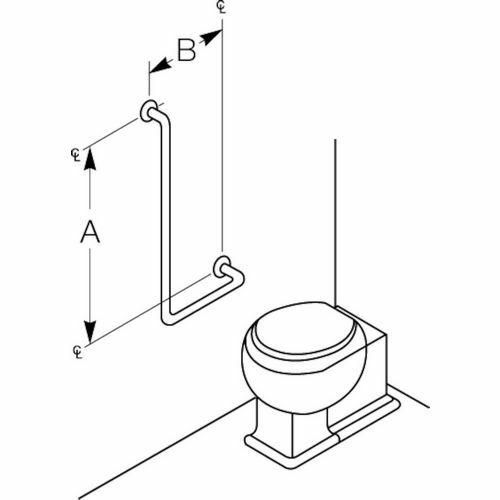 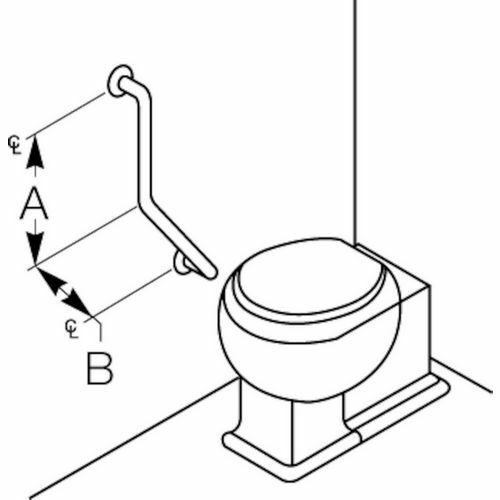 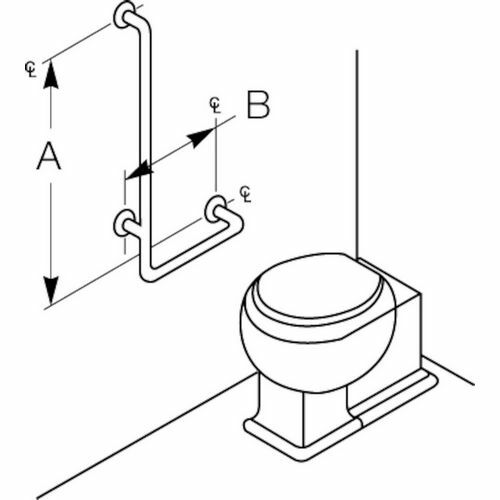 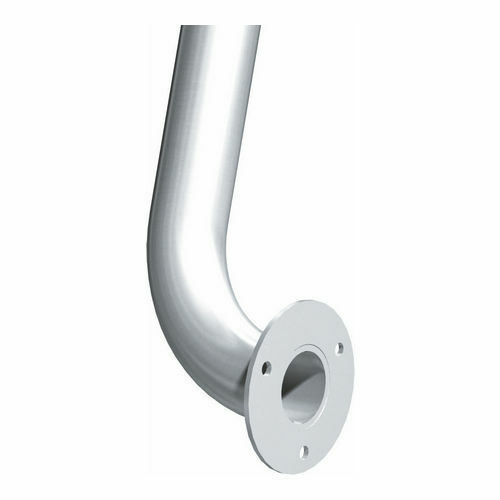 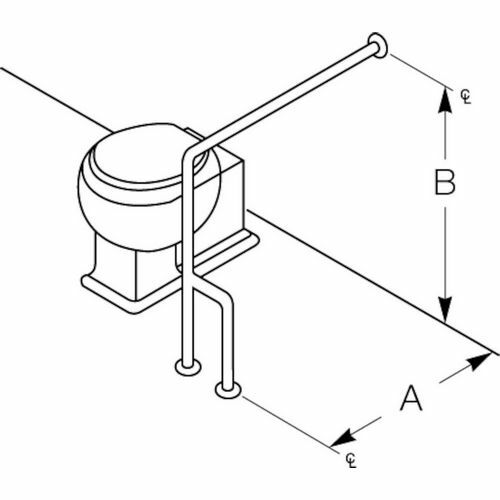 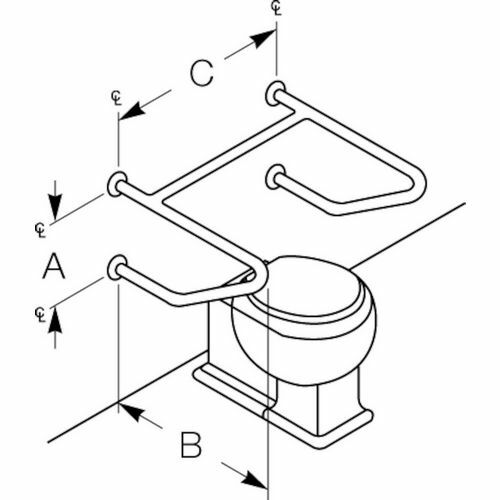 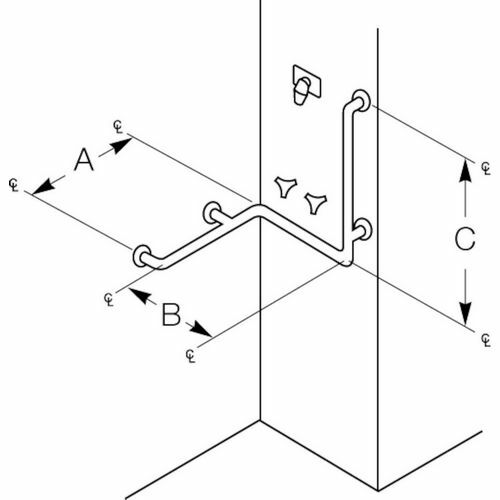 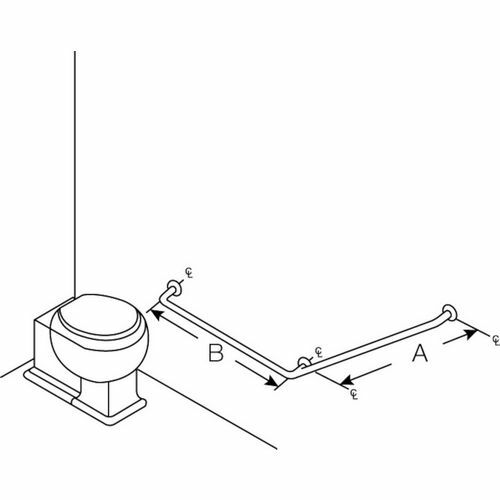 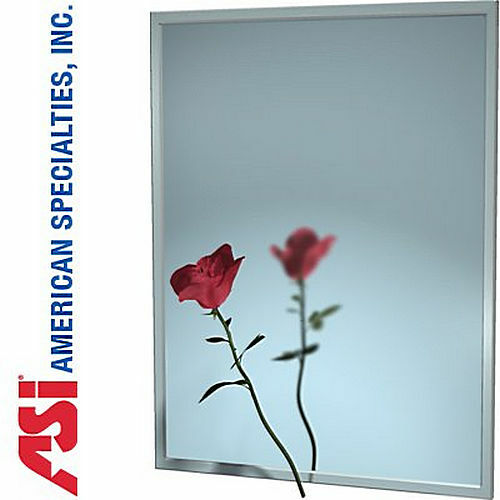 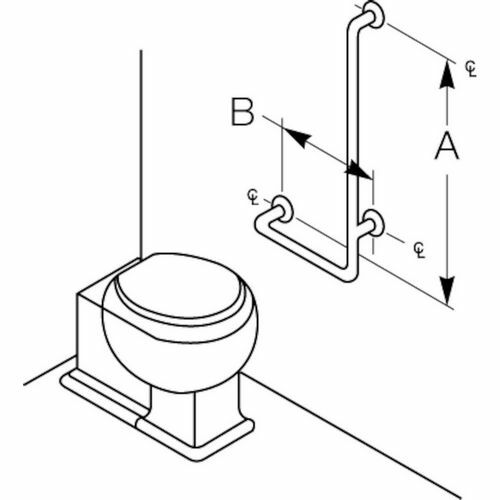 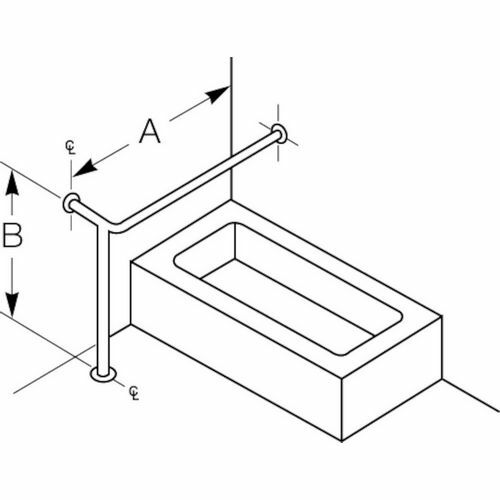 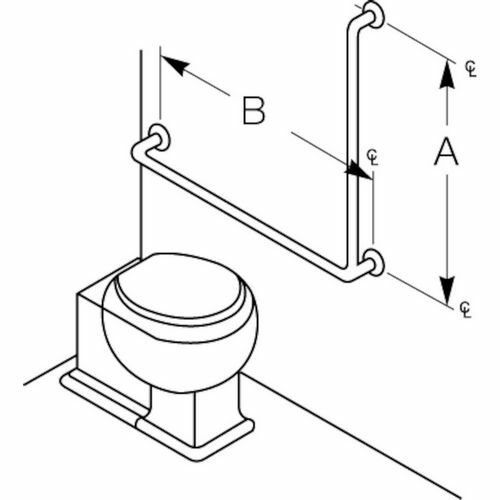 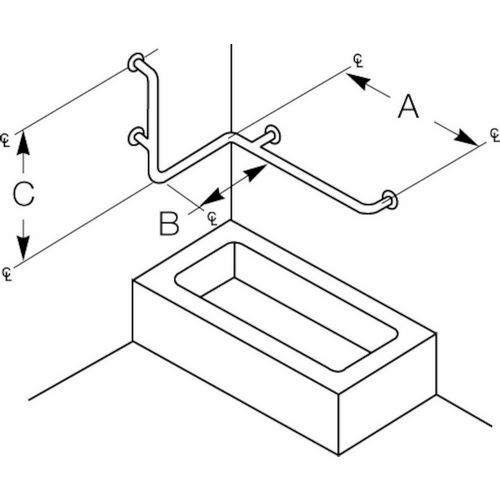 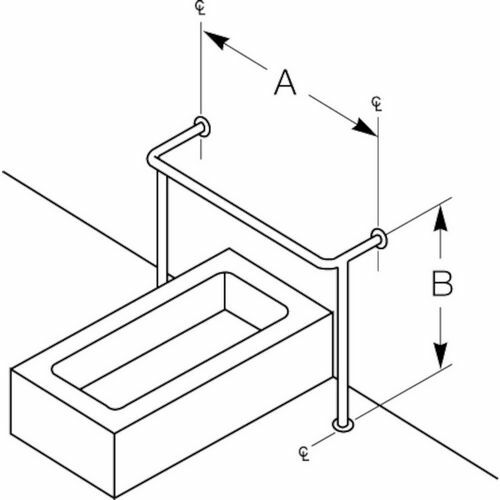 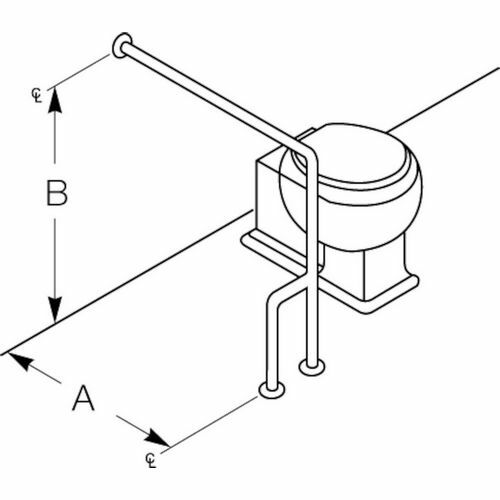 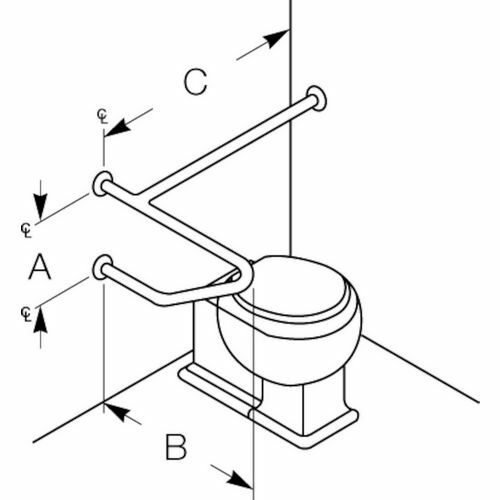 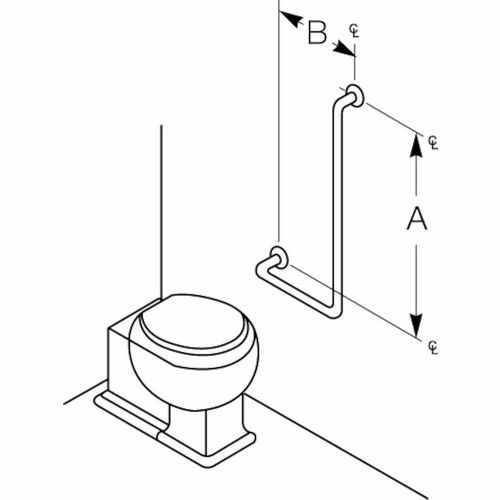 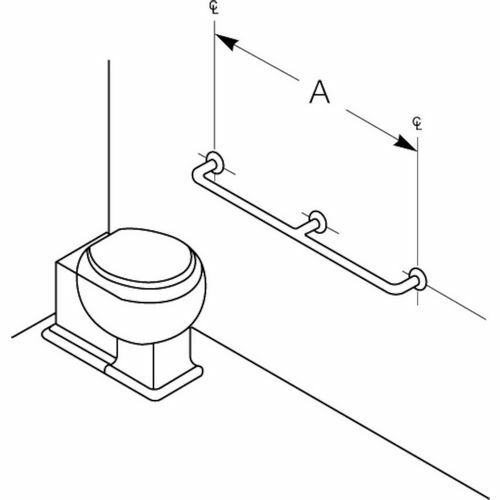 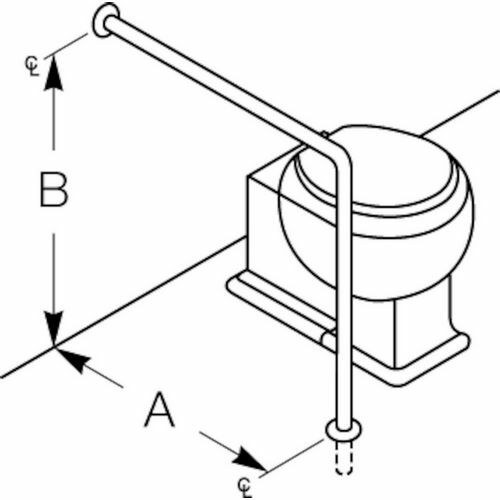 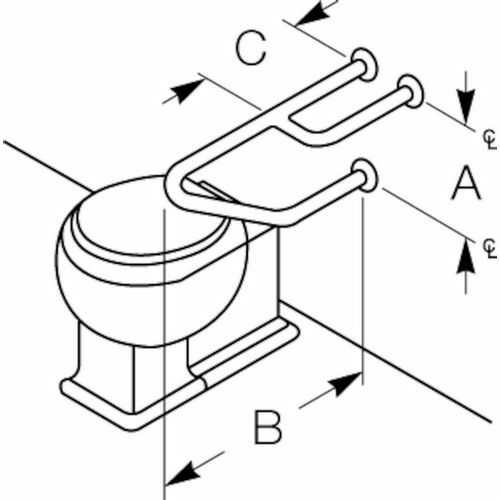 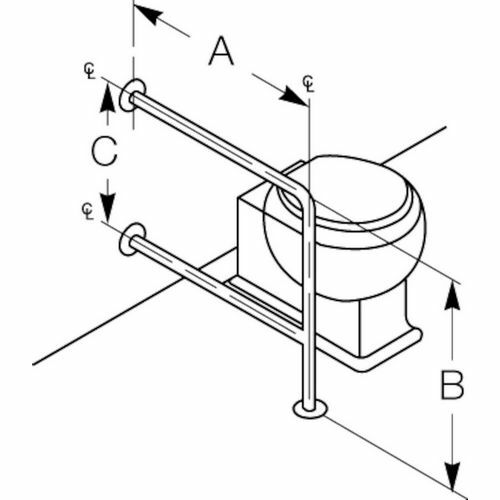 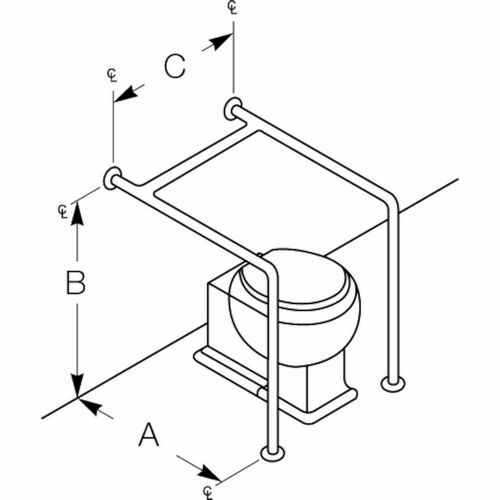 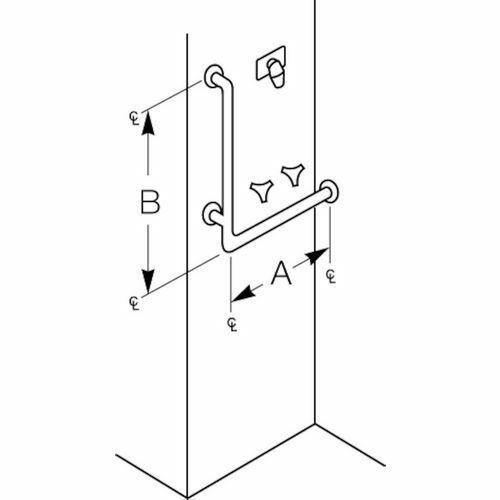 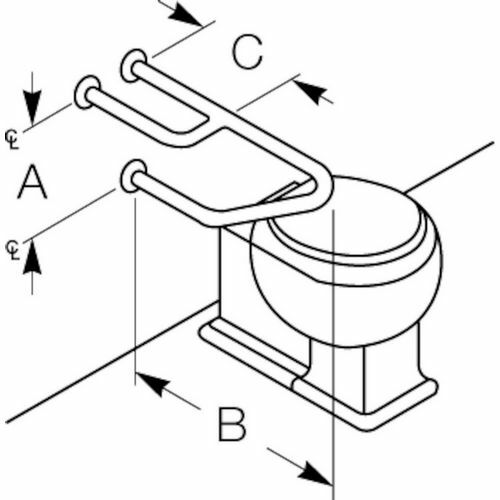 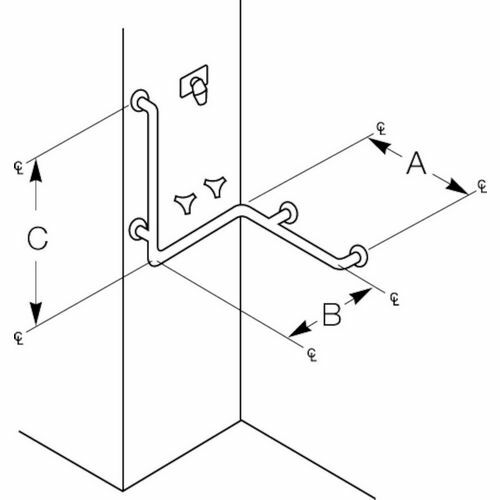 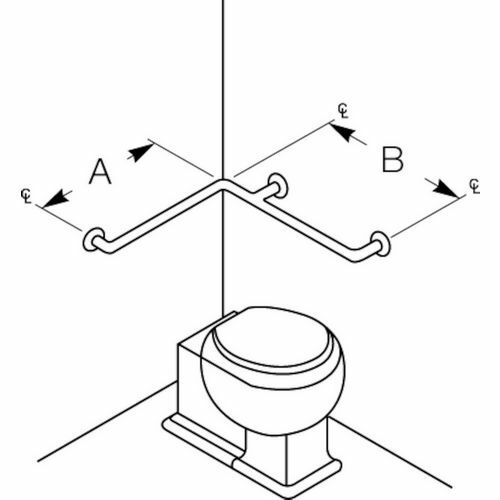 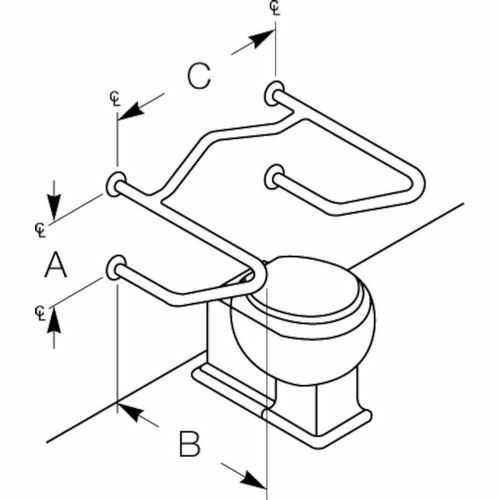 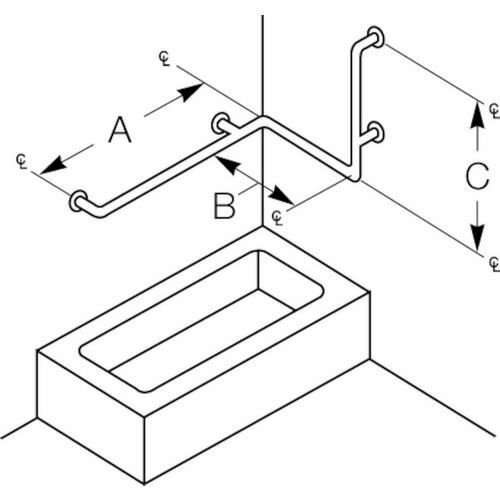 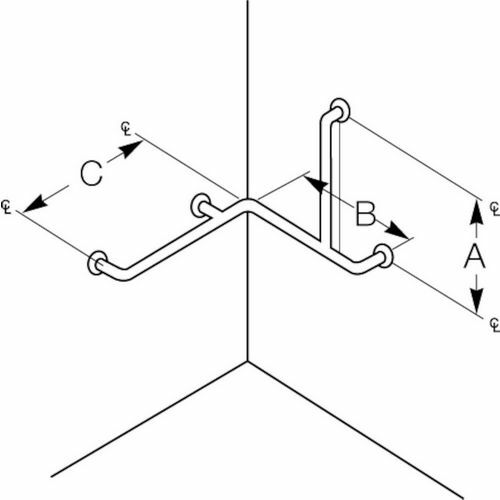 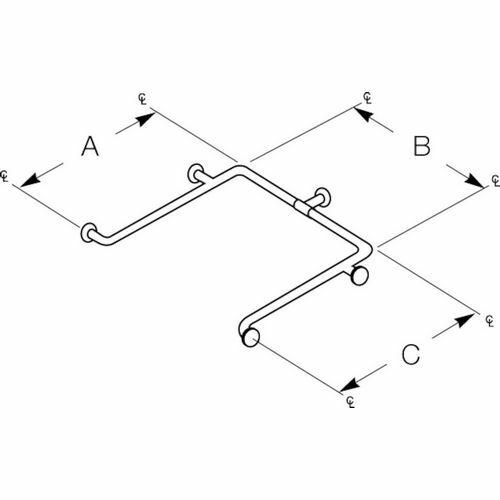 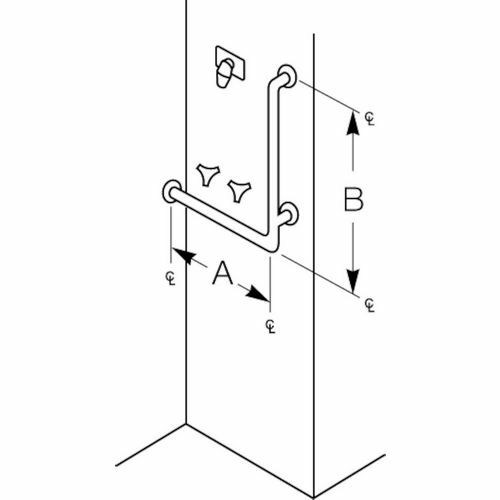 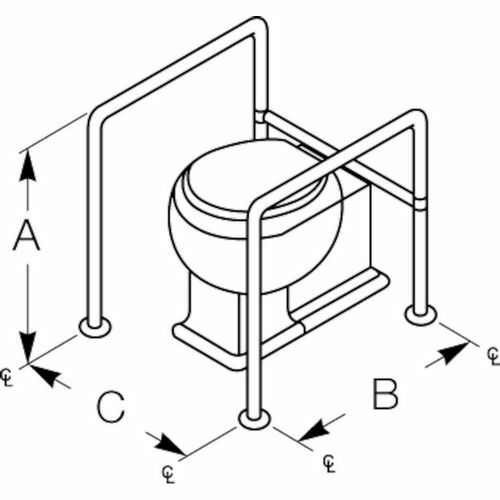 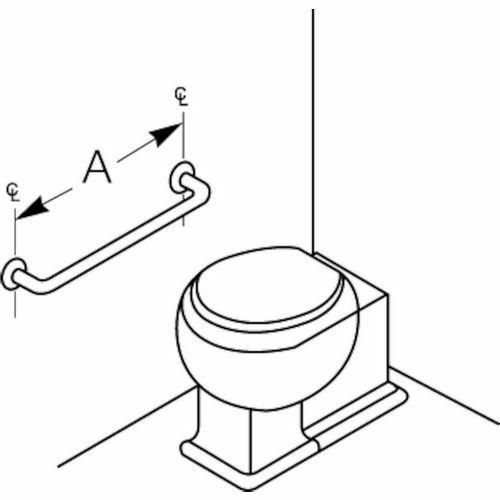 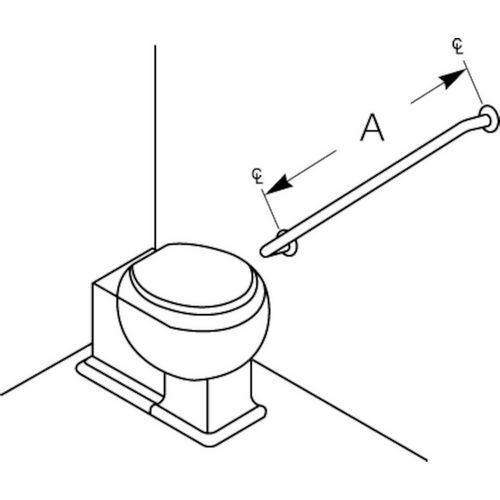 ASI 3456 Exposed Flange (1-1/4" O.D) Smooth, Horizontal Grab Bar, 54" x 36"
ASI 3556 Exposed Flange (1-1/2" O.D) Smooth, Horizontal Grab Bar, 54" x 36"
Safety in a washroom depends upon a lot of aspects and Grab Bars are prominent among them. 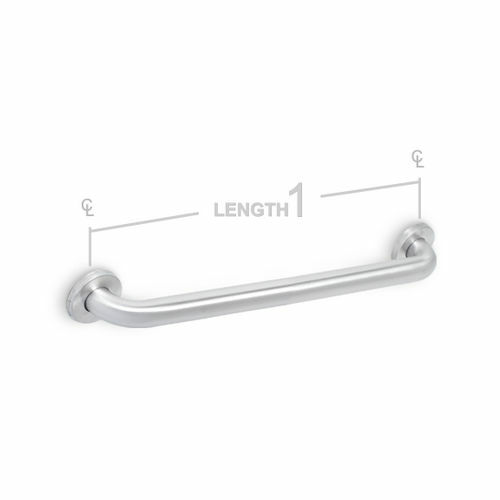 We offer an amazing collection of grab bars to meet versatile user requirements. 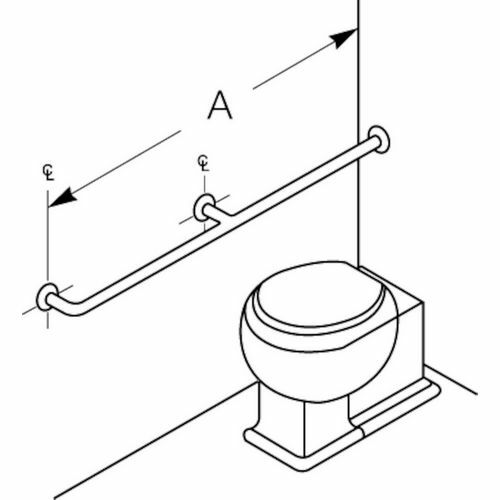 In fact, these grab bars constitute the first line of defense against slip and fall accidents due to wet and slippery floors. 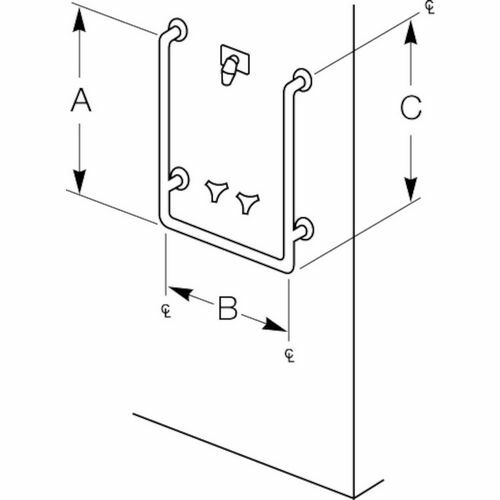 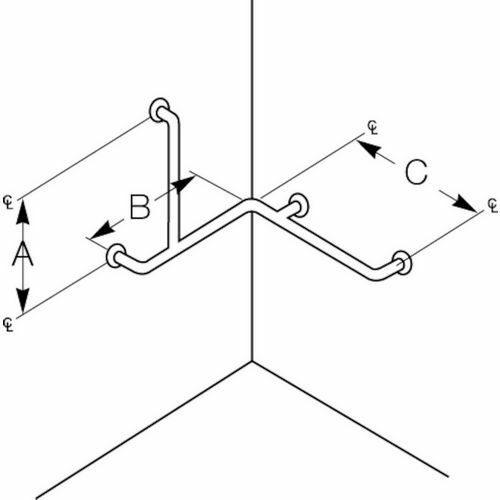 In addition, we provide a plethora of Mounting Kits and Anchoring Devices for the finest fit ever. 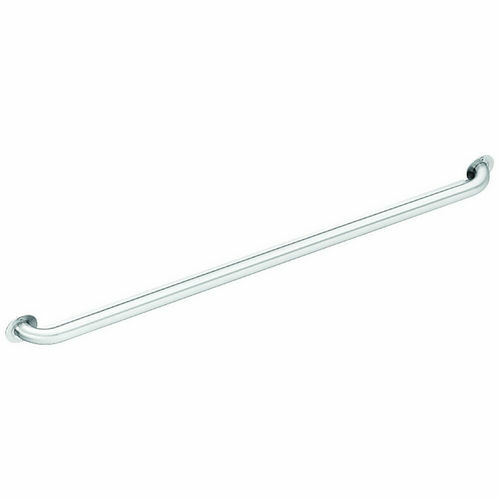 Adding our grab bars made from steel and manufactured by topnotch industry players is a value addition to your bathroom and an asset to count on. 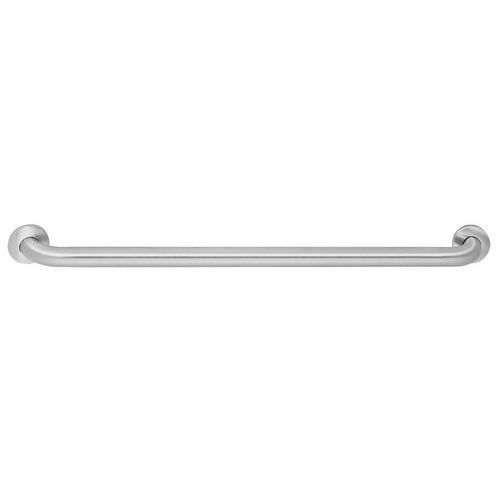 Come grab a grab bar and enjoy safety forever. 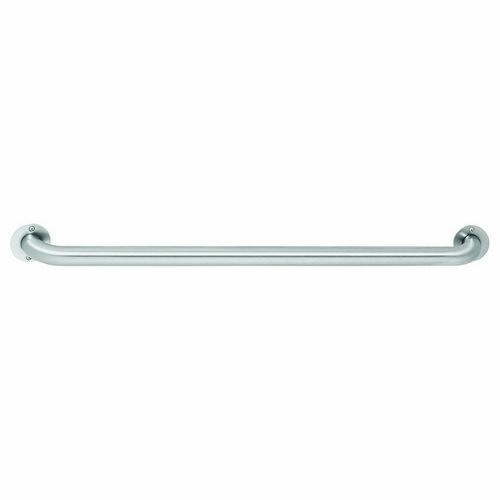 Bradley 8120-001420 Grab Bar, Concealed, 1-1/2" OD x 42"
Bradley 8120-001480 Grab Bar, Concealed, 1-1/2" OD x 48"
Bradley 8120-002360 Grab Bar, Concealed, 1-1/2" OD x 36"
Bradley 8120-002420 Grab Bar, Concealed, 1-1/2" OD x 42"
Bradley 8120-002480 Grab Bar, Concealed, 1-1/2" OD x 48"
Bradley 8122-001120 Grab Bar, Concealed, 1-1/2 OD x 12"
Bradley 8122-001180 Grab Bar, Concealed, 1-1/2 OD x 18"
Bradley 8122-001240 Grab Bar, Concealed, 1-1/2 OD x 24"
Bradley 8122-001300 Grab Bar, Concealed, 1-1/2 OD x 30"
Bradley 8122-001360 Grab Bar, Concealed, 1-1/2 OD x 36"
Bradley 8122-001420 Grab Bar, Concealed, 1-1/2 OD x 42"
Bradley 8122-001480 Grab Bar, Concealed, 1-1/2 OD x 48"
Bradley 8122-002480 Grab Bar, Concealed, 1-1/2 OD x 48"
Bradley 8127-001360 Grab Bar, Concealed, 1-1/2 OD x 36"
Bradley 8127-001420 Grab Bar, Concealed, 1-1/2 OD x 42"
Bradley 8170-001120 Grab Bar, Exposed, 1-1/2" OD x 12"
Bradley 8170-001180 Grab Bar, Exposed, 1-1/2" OD x 18"
Bradley 8170-001240 Grab Bar, Exposed, 1-1/2" OD x 24"
Bradley 8170-001300 Grab Bar, Exposed, 1-1/2" OD x 30"
Bradley 8170-001320 Grab Bar, Exposed, 1-1/2" OD x 32"
Bradley 8170-001360 Grab Bar, Exposed, 1-1/2" OD x 36"
Bradley 8170-001420 Grab Bar, Exposed, 1-1/2" OD x 42"
Bradley 8170-001480 Grab Bar, Exposed, 1-1/2" OD x 48"
Bradley 8170-002420 Grab Bar, Exposed, 1-1/2" OD x 42"
Bradley 8170-002480 Grab Bar, Exposed, 1-1/2" OD x 48"
Bradley 8172-001180 Grab Bar, Exposed, 1-1/2 OD x 18"
Bradley 8172-001240 Grab Bar, Exposed, 1-1/2 OD x 24"
Bradley 8172-001300 Grab Bar, Exposed, 1-1/2 OD x 30"
Bradley 8172-001360 Grab Bar, Exposed, 1-1/2 OD x 36"
Bradley 8172-001420 Grab Bar, Exposed, 1-1/2 OD x 42"
Bradley 8172-001480 Grab Bar, Exposed, 1-1/2 OD x 48"
Bradley 8172-054000 Grab Bar, Exposed, 1-1/2 OD x 48"
Bradley 8320-001180 Grab Bar, Concealed, 1-1/4" OD x 18"
Bradley 8320-001240 Grab Bar, Concealed, 1-1/4" OD x 24"
Bradley 8320-001300 Grab Bar, Concealed, 1-1/4" OD x 30"
Bradley 8320-001360 Grab Bar, Concealed, 1-1/4" OD x 36"
Bradley 8320-001420 Grab Bar, Concealed, 1-1/4" OD x 42"
Bradley 8320-001480 Grab Bar, Concealed, 1-1/4" OD x 48"
Bradley 8320-002480 Grab Bar, Concealed, 1-1/4" OD x 48"
Bradley 8322-001180 Grab Bar, Concealed, 1-1/4" OD x 18"
Bradley 8322-001240 Grab Bar, Concealed, 1-1/4" OD x 24"
Bradley 8322-001300 Grab Bar, Concealed, 1-1/4" OD x 30"
Bradley 8322-001360 Grab Bar, Concealed, 1-1/4" OD x 36"
Bradley 8322-001420 Grab Bar, Concealed, 1-1/4" OD x 42"
Bradley 8322-001480 Grab Bar, Concealed, 1-1/4" OD x 48"
Bradley 8322-002480 Grab Bar, Concealed, 1-1/4" OD x 48"
Bradley 8327-001240 Grab Bar, Concealed, 1-1/4" OD x 24"
Bradley 8327-001360 Grab Bar, Concealed, 1-1/4" OD x 36"
Bradley 8327-001420 Grab Bar, Concealed, 1-1/4" OD x 42"
Bradley 8327-001480 Grab Bar, Concealed, 1-1/4" OD x 48"
Bradley 8370-001240 Grab Bar, Exposed, 1-1/4" OD x 24"
Bradley 8370-001300 Grab Bar, Exposed, 1-1/4" OD x 30"
Bradley 8370-001360 Grab Bar, Exposed, 1-1/4" OD x 36"
Bradley 8370-001420 Grab Bar, Exposed, 1-1/4" OD x 42"
Bradley 8370-001480 Grab Bar, Exposed, 1-1/4" OD x 48"
Bradley 8372-001240 Grab Bar, Exposed, 1-1/4" OD x 24"
Bradley 8372-001360 Grab Bar, Exposed, 1-1/4" OD x 36"
Bradley 8372-001420 Grab Bar, Exposed, 1-1/4" OD x 42"
Bradley 8372-001480 Grab Bar, Exposed, 1-1/4" OD x 48"
Bradley 8520-001180 Grab Bar, Concealed, 1 OD x 18"
Bradley 8520-001240 Grab Bar, Concealed, 1 OD x 24"
Bradley 8520-001360 Grab Bar, Concealed, 1 OD x 36"
Bradley 8520-001420 Grab Bar, Concealed, 1 OD x 42"
Bradley 8522-001360 Grab Bar, Concealed, 1 OD x 36"
Bradley 8570-001420 Grab Bar, Exposed 1 OD x 42"
Gamco 125S Grab Bar Straight 12"
ASI 3401-12 Exposed Flange (1-1/4" O.D) Smooth, Straight Grab Bar, 12"
ASI 3501-12 Exposed Flange (1-1/2" O.D) Smooth, Straight Grab Bar, 12"